Right now (for a limited time only) you can score a $45 Picaboo Custom Photo Gifts voucher for $15 from Picaboo! Login in Register with Picaboo. Click the blue “Buy Voucher” button to save $30 on your custom photo project(s). For $15, you get a $45 value! What You’re Getting: Redeem for $45 worth of products on www.picaboo.com. Valid towards all products; Photo Books, Phone & Tablet Cases, Canvas Prints, Calendars, Cards, Photo Panels, Posters and Prints. If your order subtotal exceeds $45.00, you will simply pay the difference upon checkout. Voucher may be redeemed across multiple orders. Not valid for Picaboo Yearbooks. Customer can purchase an unlimited number of vouchers. Vouchers cannot be combined (limit 1 voucher per order). Vouchers cannot be combined with other discounts, coupons or promotions. The promotional value of the voucher ($30.00) expires on November 6, 2014. The paid value of the voucher ($15.00) does not expire. Tax and shipping not included. Shipping will vary depending on product. Please click here for shipping rates. Right now (for a limited time only) you can score a $45 Picaboo Custom Photo Gifts for $15 from Picaboo! The fine print: Redeem your voucher for $45 worth of products on www.picaboo.com. Valid towards all products; Photo Books, Phone & Tablet Cases, Canvas Prints, Calendars, Cards, Photo Panels, Posters and Prints. If your order subtotal exceeds $45, you will simply pay the difference upon checkout. Voucher may be redeemed across multiple orders. Not valid for Picaboo Yearbooks. Customer can purchase an unlimited number of vouchers. Vouchers cannot be combined (limit 1 voucher per order). Vouchers cannot be combined with other discounts, coupons or promotions. The promotional value of the voucher ($30) expires on November 6, 2014. The paid value of the voucher ($15) does not expire. Tax and shipping not included. Shipping will vary depending on product. Click the blue “Buy Voucher” button to save $31 on your photo book. For $14, you get a $45 value! The fine print: You’ll get one 11×9 Hardcover Classic Photo Book with 20 pages on standard paper ($44.99 value). 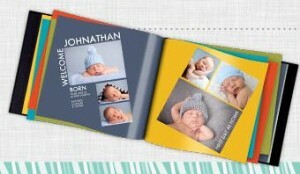 Voucher can be alternatively used as a $45 credit towards any photo book product on www.picaboo.com. Credit may be applied towards any book style, size, or additional pages (both standard and Lay-Flat Pages apply). If your order subtotal exceeds $45, you will simply pay the difference upon checkout. Voucher may be redeemed across multiple orders. Valid only for Photo Books. Not valid for Canvas, Photo Panels, Posters, Prints, Calendars, Cards or Yearbooks. Customer may purchase an unlimited number of vouchers. Vouchers cannot be combined (limit 1 voucher per order). Vouchers cannot be combined with other discounts, coupons or promotions. The promotional value of the voucher ($31) expires on Tuesday, September 30th, 2014. The paid value of the voucher ($14) does not expire. Tax and shipping not included. Click the purple “Shop Now” under the FREE Photo Brag Book offer. Choose the 4.5″ x 6″ size and then click the blue “Create Now” button. Enjoy preserving and sharing your fun family memories! Offer expires 5/15/13. Choose in-store pickup to avoid shipping fees.